The hour-long Hive to Bottle Tour is only on Saturdays at 12:00PM. Reservations are strongly encouraged. Walk-ins are not guaranteed a spot. Purchase your tour reservation by selecting the date below. Though we do accept walk-ins, they are not guaranteed. Each tour is $10 per person and lasts about an hour. Once your tour has concluded, please enjoy a glass of mead, cocktail or local craft beer as well as light fair and other menu options in our Pub. ​we will either refund your money or reschedule your tour, whichever you prefer, Tour dates that are grayed out are either unavailable or sold out. Tastings are available whenever we are open. No reservation required. We usually have on hand a wide selection of meads to sample. 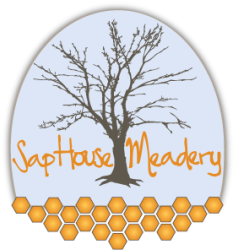 They range from Signature Meads, Seasonals, Occasionals and even our new Experimental Series, which are rare and only available here at Sap House Meadery!